The British Overseas Territory of Montserrat is part of the Lesser Antilles island chain found in the Leeward Islands. The tiny island is sometimes called The Emerald Isle of the Caribbean because of its keen resemblance to the coasts of Ireland. It’s not surprising, perhaps, that the island boasts a significant population with Irish roots. The island was discovered by Christopher Columbus in 1493, as he was making his second voyage to the New World. He claimed the island and named it Santa Maria de Montserrat, in honor of the Montserrat Monastery in Catalonia, Spain. Apparently, little was done to develop the island until it fell under British control in 1632. 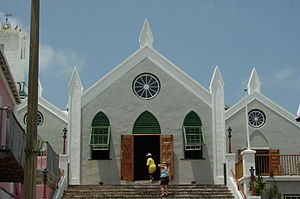 Settlement began when fierce anti-Catholic sentiments arose on the nearby island of Nevis, and a large group of Irish Catholic slaves were forcibly transplanted to Montserrat. A sort of neo-feudal colony was built up, largely on the backs of slaves. First Irish slaves arrived, followed by many African slaves, brought in to work on the local plantations. As was the case on many Caribbean islands, the economy of Montserrat was largely based on rum, sugar, cotton, and arrowroot. By the late 18th century, plantations covered much of the island, manned by hundreds of slaves. At the same time, Oliver Cromwell was sending shiploads of exiled Irish people to the island, along with many political prisoners, orphans, and unemployed poor. Many who were a financial burden to the public purse at home were shipped off to work on the plantations of Montserrat. While Britain was distracted by the American Revolutionary War in 1782, the French swooped in and briefly captured the island. French rule was fairly short-lived however, and rule of Montserrat was returned to Great Britain under the Treaty of Paris. In 1834, slavery was abolished in Montserrat, and that factor – combined with falling sugar prices – led to a dramatic downturn in the island’s economy. Plantation owners were at a loss until 1857 when British philanthropist Joseph Sturge bought up a sugar estate and proved that plantations could be commercially viable even without depending on slave labour. Many members of the Sturge family followed, buying up plots of land all over the island and planting vast groves of lime trees. The Sturges established the Montserrat Company Ltd. and set up a plant for processing lime juice on a commercial level. Eventually, the company sold off small parcels of land to various islanders who in turn began to develop the land further. Throughout the late 19th and early 20th centuries, Montserrat was included as part of the British Leeward Islands colony. For a brief stint, it was made a province of the West Indies Federation; however, this was dissolved in 1962. In recent years, Montserrat has been the victim of serious natural disasters, including Hurricane Hugo in 1989, and the eruption of Montserrat’s Soufriere Hills volcano in 1995. Many portions of the island are now uninhabitable. An estimated 8000 refugees fled the island following these events. Today’s population of around 5800 is made up of a mix of British, Irish and African descendants. English is widely spoken, along with a creole dialect. The British Virgin Islands can be found in the Caribbean, and constitute a portion of the Virgin Islands Archipelago. While the whole territory is generally referred to as the “Virgin Islands”, ownership of the chain is divided between Britain, America, and Spain. Thus, most use the term “British Virgin Islands” or “BVI” to distinguish the British Overseas Territory from the other territories. The islands were first sighted by Christopher Columbus as he was making his second voyage to the New World. He dubbed the islands Santa Ursula y las Once Mil Virgenes (Saint Ursula and the 11,000 Virgins). Obviously, the unwieldy name was quickly shortened to The Virgins. As with many islands in the Caribbean, the Spanish initially laid claim to the Virgin Islands in the early 16th century; however, no attempt was made at settlement. Throughout the next few decades, the powers of Europe all struggled over ownership and control over the islands. The English, Dutch, Spanish, Danish, and French all laid claim to the islands at one point or another, but for many years, the Virgins were little more than a popular pirate haunt. The first official settlement was established by the Dutch in 1648 on the island of Tortola. English forces were able to capture Tortola in 1672 at the beginning of the Third Anglo-Dutch War. 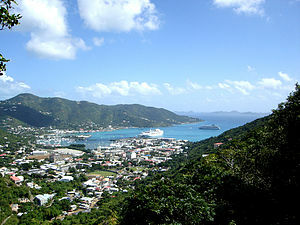 The British were able to use Tortola as a strategic base from which they were able to annex Virgin Gorda, Anegada and the rest of the British Virgin Islands in 1680. Though the British now held full control over the Territory, immigration was slow and few cared to stay long. Many settlers feared the instability of the region, and anticipated attacks by the Spanish or the Dutch. By 1685, the population was reduced to two: an undaunted Mr. Jonathan Turner and his wife. After 1690, however, the British Virgin Islands saw a dramatic upswing in population growth and by 1696, the total number was up to fifty. With a steadily growing population on the islands, the British appointed a deputy-governor to manage the territory. The role was little more than nominal, with no real power behind the title. People on the islands lived however they wanted, without a law or government. The islands continued this way for over 100 years. As sugar was a major industry on the island, much of the BVI economy was built on the back of slave labour. Tortola and Virgin Gorda in particular were settled primarily by plantation owners who brought in massive numbers of African slaves. By 1756, the slave population on the islands was at 6,121. While the emancipation of 1834 released all slaves on the islands, evidence of the massive slave population is still very clearly seen in the modern demographics. The population of the BVI today is around 21,730, and approximately 83.4% are of African descent. Roughly 7% of the population is of British or European origin, while the remaining 9.6% is Carib, Indian and mixed-race Hispanic. After emancipation, the islands struggled economically for many years. Plantations were no longer economically viable, and many owners simply picked up and went home to England. Decline and disorder followed, and emigration was high until local community leaders stood up and insisted on change. Conditions in the territory have since improved drastically, thanks to better government and the advent of the offshore financial services industry. Today, the BVI is in the lead as one of the top global offshore financial centres. The British Overseas Territory of Anguilla was first settled by Amerindian tribes from South America; however, it was first discovered by Europeans sometime in the 15th or 16th century. Its actual discovery has long been in debate. Some suggest that it was first sighted by Christopher Columbus in 1493, while others claim that the island was discovered and named by French explorer Pierre Laudonnaire in 1565. Regardless of the original discovery, the island of Anguilla sat untouched for nearly a century. 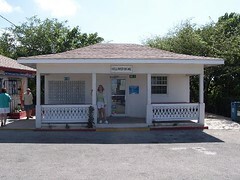 There have been some claims that the Dutch built a fort on Anguilla two decades earlier; however, little more is known, and no trace remains to verify the claims. Anguilla likely went uncolonized for so long due to the notoriously wild and fierce Caribs who controlled the island. 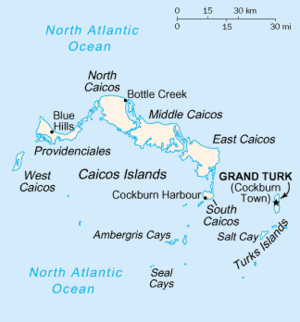 The Caribs were known cannibals who had wrested the island from its original Amerindian settlers. It wasn’t until 1650 that English settlers arrived and dared to face down the Caribs. The first English settlers arrived from the nearby colony of Saint Kitts. They established a settlement and began growing crops of tobacco and corn; however, early life on Anguilla was far from easy. In 1656, the colony was attacked by invading Carib Indians who destroyed crops and settlements and slaughtered many settlers. In 1666, French forces attacked and captured the island. French rule was short lived, and the English soon regained control through the Treaty of Breda in 1667. Hardships increased, and the settlers were soon facing drought, poor crop yields and crippling famine; yet the colonists hung on resolutely. Throughout this time, the island was governed by the British through Antigua. The initial settlers were followed in 1688 by a host of Irish invaders who were fleeing the religious persecution of Cromwell’s government. In Anguilla, these refugees found a British territory where they could live and worship in peace. Throughout the 1700s, the French and English forces continued to fight over ownership of the island – and ultimately for control of the Caribbean. 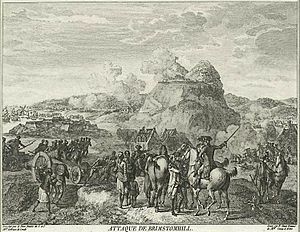 The French tried again and again to invade and capture Anguilla, with major attempts made in 1745 and 1796. These attempts failed and the British maintained control of the island. In 1824, administrative control of Anguilla was transferred to nearby St. Kitts. The government attempted to develop the island’s infrastructure by building up a plantation-based economy. Planters arrived, bringing African slaves to man the plantations; however, attempts at agriculture were largely unsuccessful due to poor soil and an adverse climate. Once slavery was abolished by the British in 1830, many plantation owners left Anguilla and returned to England, causing a drastic decline in population. The remaining population of 2000 was made up mostly of freed slaves. When St. Kitts was granted full internal autonomy in 1967, Anguilla was incorporated into the newly created dependency along with the island of Nevis. The dependency was dubbed Saint Christopher-Nevis-Anguilla – much to the chagrin of the Anguillan population. After an Anguillan rebellion in 1967, a full-scale revolution in 1969, and a brief foray into self-declared independence, the British government stepped in and restored authority over the island. Anguilla was eventually allowed to secede from Nevis and St. Kitts, and in 1980, it was officially declared a full British colony. Halfway between New Zealand and the Americas sits one of the most remote inhabited islands in the world. The tiny volcanic island of Pitcairn is separated from the rest of the world by thousands of miles of ocean, yet it gained surprising fame thanks to its original settlers. The island was first discovered in 1606 by the Portuguese explorer Pedro Fernandez de Quiros. It was rediscovered in 1767 by a British ship, and named after the crew member who spotted the island. Owing to its size, however, Pitcairn was not suitable for large-scale colonization; thus, it was left alone. In 1798, the crew of the HMS Bounty mutinied. After setting Captain William Bligh adrift with the remaining loyal crewmembers, Master Mate Fletcher Christian set off to look for a safe haven for himself and his small crew. Unable to properly man the ship with his nine companions, Christian made landfall in Tahiti where he recruited six men and twelve women. Together, this odd group found their way to the idyllic paradise of Pitcairn Island. The island was uninhabited, warm, and replete with coconut palms and breadfruit. It was the perfect inaccessible hideaway for the mutineers. To avoid discovery and retribution, the sailors stripped the Bounty of her contents, then ran her ashore, and burned her to the ground, effectively erasing any clues as to their whereabouts. The group of mutineers was led by Fletcher Christian and included Ned Young, John Adams, Matthew Quintal, William McCoy, William Brown, Isaac Martin, John Mills, and John Williams. Each of the sailors took a Polynesian woman for a wife, leaving the remaining three to be shared by the six Polynesian men. Years went by, and the tiny community lived with alternating friction and peace. Some died, some were murdered, and by 1800, John Adams remained as the only male survivor of the original party, surrounded by ten Polynesian women and twenty-three children. In 1808, American sealing Captain Mayhew Folger happened upon the tiny colony; however, little interest was paid to the island for six more years. In September of 1814, H.M.S. Briton and Tagus rediscovered the colony. The British commanders were so charmed by Adams’ care and leadership of the community that they felt it would be inhumane to arrest him for his long-passed crime. The isolation was ended, and a relationship began between Pitcairn and the British Navy. Ships visited regularly, bringing books, tools and practical necessities in exchange for provisions. Adams soon became concerned about the future of the island, and appealed to the British Government for a successor. Appeals were ignored; however, voluntary immigrants soon arrived, including shipwright John Buffett and Welshman John Evans. By 1828, the population had risen to 66, with the arrival of a few new residents including George Nobbs. In 1831, the community briefly moved to Tahiti due to diminishing resources on Pitcairn. They were warmly welcomed; however, they were unhappy and many contracted infectious diseases (to which they had little natural resistance). The Pitcairn Islanders returned home just a few months later. Increasing intrusions by American whalers let the Islanders to feel insecure in their tiny settlement. They reached out to British Captain Elliot of the H.M.S. Fly who provided them with a constitution and code of laws. While Pitcairn officially became a British settlement in 1887, the Islanders consider Elliot’s constitution to signify their formal incorporation into the British Empire. Throughout the 20th century, the island was governed by magistrates appointed from the Christian and Young families; however, in 1970, governance of the island was transferred to the British high commissioners of New Zealand. Today, many of the islanders have emigrated to New Zealand, leaving the population at no more than 45. The Pitcairn Islands….What and where the hell are they? !